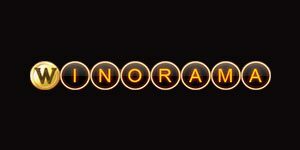 Winorama Casino will then reward you with a bonus (Welcome Bonus is for new players only). 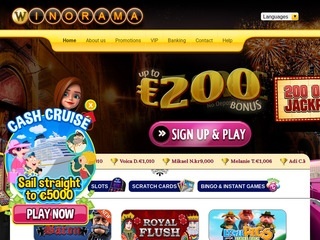 The terms and conditions of the bonuses vary between different casinos and might also change over time and between different countries, so it is important to compare the different offers and read the T&C for Winorama Casino before signing up. Winorama casino launched in 2016 is quite a funky casino with a vibrant color scheme and an easy to use interface for all casino players. The casino is running on the famous NetoPlay Platform that is a favorite for their excellent portfolio of slots, scratch cards and bingo games. The casino is instant play and does not require you to download anything to play. The casino operates on valid licenses from Curacao jurisdiction. The site is secured with the latest SSL encryption to ensure that all your personal information is stored safely. Slots are by far the most dominant category on Winorama with great titles such as Pyramid Spin, Zombie Apocalypse, Magic Fairies, Zen Garden and many more. If you want to experience something new we definitely recommend to check out their assortment of slots its a fun change from the regular game providers. As previously stated Winorama offers an awesome variety of other games if you are an enthusiast scratch card you will surely like it on Winorama casino with titles such as Mermaid Scratch, Pirates Scratch, Pearls Shells and many more. Moreover, they also have a small assortment of virtual sports games, with titles such as Horse Racing, Goal Scorer, Frog Race And Super Stars Football among others. bingo and keno games are also available on the website even though this category is quite small. Unfortunately, Winorama does not offer any live casino section at this time. Winorama casino supports all the most common banking solutions including, Master Card, Zimpler, Neteller, Skrill, Maestro, Entropay and Paysafecards. Accepted currencies are Euro, US dollars and British Pounds. Maximum withdrawal for new players are restricted to 3000€ / month this can gradually increase depending on your VIP level on the casino. Its also dependent on the deposit/withdrawal method you choose to use. High-quality customer support is a high priority on Winorama with a dedicated support team available 24 hours a day 7 days a week providing support through live-chat, phone and email. Don’t hesitate to contact customer support if you have any questions or encounter problems. The casino provides a F.A.Q section with answers to all the most common questions players tend to have we recommend you to check it out for general questions.